Central Coast winery & vineyard transactions represent recent sales. These Central Coast winery & vineyard transactions represent recent sales. Every effort is made to provide current and accurate information on these transactions. Jenny Heinzen Real Estate does not warrant the information. The purpose of this list is to provide buyers and sellers with a big picture understanding of the Central Coast winery & vineyard real estate market. Buyers/sellers should not rely on these figures for due diligence or property valuation. 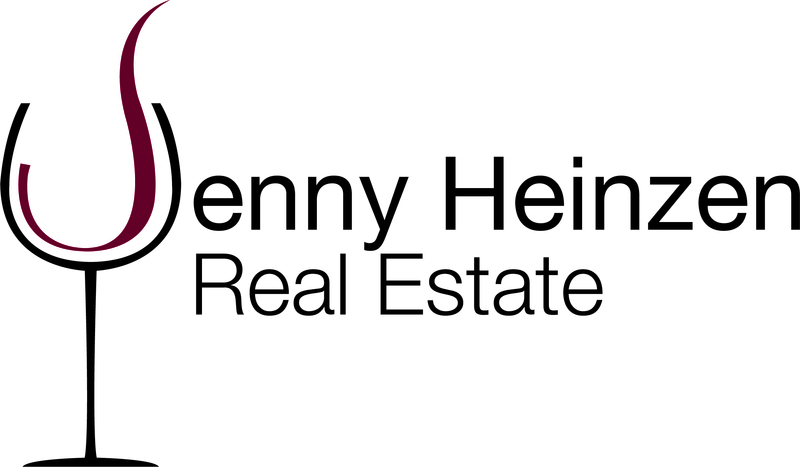 Please get in touch with Jenny Heinzen Real Estate to receive an opinion of value and comparative market analysis (CMA) on a specific property. Laetitia Vineyard & Winery, 453 Laetitia Vineyard Drive Arroyo Grande. Sold 3/19/19 to Vintage Wine Estates, owner of Qupe, B.R. Cohn, Clos Pegas, Viansa, Layer Cake, Cameron Hughes and many more. The deal included nearly 2,000 acres, Laetitia’s production facility, wine inventory, 287 vineyard acres, additional plantable land, tasting room and estate guest house. Laetitia is planted with varieties including Pinot Noir and Chardonnay and produces 35,000 cases a year. Tax records show a real estate sales price of $22,300,000. Summerland Winery 2330 Lillie Ave, Summerland. Sold 3/5/2019. The 60,000 case winery facility and brand sold to Terravant Wine Company, Santa Barbara County's largest winery. 6060 Jardine Road, Paso Robles. Sold 12/17/2018 to a family trust from Ventura. Vineyard and Tuscan-style home on 50.83± acres. 46.5± acres of Cabernet planted in the late 1990's. Newer single level 3,829± sq. ft. custom home. Sold to a family trust from Ventura. Seller was Margret Hall Trust (Robert Hall Winery family) for $2,200,000. Baileyana's Fire Peak Vineyard (former name), on Orcutt Road in Edna Valley, San Luis Obispo, was sold by Paragon Vineyards to Orcutt Road Ranch (a citrus farmer) on 9/18/18. 188 vineyard acres, most of the vineyard was planted in the late 90s. Sold for $8,700,000. 2680 Hidden Valley Road, Templeton sold 9/14/18. 11 acre vineyard contracted to high-end local wineries with an additional 25 acres plantable. Nice 5 bedroom 3bath home, guest house and bonus room. Plus equestrian facilities. Sold for $2,700,000. 4337 S El Pomar Rd, Templeton, CA. Sold 9/7/18. 100 acre parcel in the El Pomar District within the Paso Robles AVA. 25.8 acre producing and contracted vineyard, 4 room Bed & Breakfast. A 3,700 sq ft main home with panoramic views and wine cellar, 2400 sq ft caretaker home, 50 acres of grazing pasture, 2,400 sq ft barn, equestrian facilities, 1600 sq ft covered pavilion, a 700 tree olive grove. 997 Days on the market. Sold to a couple from Florida for $3,100,000. Pretty Smith Winery 13350 River Road, San Miguel CA sold 9/6/18 to Classic Team. 65 acres total with 45 acres of fallow vineyard, a boutique winery and home. Sold for $1,700,000. Rocky Ranch Vineyard, 42501 Patricia Lane in Greenfield, CA, sold 8/24/18. Arroyo Seco & Monterey AVAs, Gewurztraminer, 105.2± Acres, Highway 101 Frontage, 5-Year Average Yield: 8 tons per acre. Property is generally level, adjacent to vegetable farms growing lettuce, broccoli. Onsite 75hp deep well has capacity to produce approximately 2,000 GPM. Sold for $4,200,000. Approximately $40,000/vineyard acre. 2651 Pine Hawk Way Vineyard, Paso Robles AVA sold 6/22/18. 57+/- acres planted consisting of 37+/-acres Cabernet Sauvignon & 20 acres Syrah. Currently being farmed using Biodynamic practices; Demeter Certified & Stellar Organic Certified. Two parcels,79.8 acres & 60.1 acres totaling 139.9 acres. Two wells, including one high volume Ag well. Large irrigation reservoir for water storage. Ag barn for equipment storage. Two very nice modular homes. Sold to Castoro Winery for $2,800,000. J&J Winery, Paso Robles sold 5/16/18. 40+/- acres with a 30 acre vineyard made up of Merlot (10.83+/- acres), Petite Sirah (10.2+/- acres) & Zinfandel (9.43+/- acres). 3,200 sf production facility, 4,800 sf temperature & humidity controlled barrel storage building, plus 4,000 sf temperature controlled case storage building, 2 bedroom apartment with office (1,100+/- square feet) & 1 bedroom detached home (856+/- square feet). Sold for $2,700,000. 542 acres of Sierra Madre Vineyard in Santa Barbara County on Vineyard Trail Road, Santa Maria, sold 5/2/18 to Gallo. Includes the Sierra Madre trademark and 151 acres of vines (valued at approximately $65,000/vineyard acre). Blueberry land (valued at approximately $60,000/blueberry acre), will most likely will be planted to vineyard in the future. Sold for $30,200,000. Rancho Real/Murmur Vineyard in Santa Maria sold 4/27/18 to Gallo. 436 acres with 211 vineyard acres (approximately $65,000/ vineyard acre), primarily Pinot Noir planted in 2008 along Hwy 101 in Santa Maria. Sold for $14,500,000. Burbank Winery in Paso Robles at 5685 El Pomar Road sold 4/24/18 to "Dja Burbank Acquisitions LLC" based in Fresno. 83.5 acres, 44 vineyard acres planted with 16 varieties. Main house, gatehouse, barn apartment, 10,000 case winery and tasting room. Sold for $3,400,000. Four Palms Vineyard in Shandon, Paso Robles AVA sold by Harvard Group on 4/10/18 along with "Shandon Valley Vineyard" to an institutional Investor based on the East Coast. 230+ acres of young vines planted to Cab Sauv and Chard with short term contracts. 2 wells and 2 reservoirs. Estimated at $70,000/vineyard acre with a sales price of $16,838,500. Shandon Valley Vineyards in Shandon, Paso Robles AVA sold by Harvard Group on 4/10/18 along with "Four Palms Vineyard" to an institutional Investor based on the East Coast. Five parcels with addresses including 2550 Truesdale Road and 1480 Clark Road. About 350 acres with an average age of about ten years, planted to CS, CH, PS, Syrah, SB, PG and PN. Several wells and reservoirs. Short term grape contracts. Estimated at $58,000/vineyard acre with a sales price of $20,656,000. 7410 Drake Road Vineyard, Paso Robles. Sold 3/14/18. 17.5 acres total, 11 acre zinfandel vineyard and 2,100sf home. Sold in less than a week for $999,000. 2310 Dry Creek Rd, Paso Robles. Sold 2/13/18 Paso Robles AVA Estrella District. 76 Acres in near the airport north of Hwy 46. 60 acres of vineyard mostly red varietals; Cabernet Sauvignon, Cabernet Franc, Merlot. Sold for $1,600,000. 8292 Odonovan Road, Creston. Vineyard sold 2/9/18. 300+/- acres with 114+/- acres planted and 50+/- acres plantable. Sold to J. Lohr Winery for $4,200,000. Cross Canyons Vineyard sold 1/31/18 to Hancock Natural Resource Group. Paso Robles AVA, Estrella District, address 3330 Pleasant Rd, San Miguel. 244 acres planted in 1996 to Petite Sirah, Cabernet Sauvignon, Syrah, Tempranillo, Zinfandel, and Merlot. Sold for $8,500,000. Approximately $35,000/vineyard acre. SAMsARA wine brand sold 8/21/2017. Santa Barbara County with a core roster of cool-climate Santa Rita Hills vineyard designates founded by Chad and Mary Melville in 2002, has sold to Joan and Dave Szkutak, long-time customers and SAMsARA wine club members. Calera Winery sold to Duckhorn Wine Company, 8/16/2017. 11300 Cienega Rd, Hollister. 30k cases annually split between 2 brands of about 15,000 cases each. The tax record assessed value for real estate is in the range $14,000,000. Laird Vineyard, Adobe Road Paso Robles Estrella sub-AVA sold to Castoro Cellars 8/2/17. 120 acres with 85 acres of vineyard planted in the mid to late 1990's. Estimated at $30,000/planted vineyard acre. Sold for $2,500,000. Brewer-Clifton wine brand sold 5/18/2017 to Jackson Family Wines. Santa Rita Hills Pinot Noir and Chardonnay brand. White Cliff's Ranch sold 1/27/2017, 7377 Adelaida Road. 11 acres of Syrah, Tannat, Mourvedre, Petit Verdot and Cabernet Sauvignon, 21 acres ripped and ready for planting. Adjacent to Adelaida Winery. Sold for $2,150,000. International Wine Associates represented Robb Talbott & his family & served as their exclusive advisors in the sale of the Talbott Vineyards business and Sleepy Hollow Vineyards to E. & J. Gallo Winery. The Sleepy Hollow Vineyard has over 525 acres of planted vineyard in the Santa Lucia Highlands. The Talbott business is one of California’s leading estate-grown Chardonnay and Pinot Noir producers. E. J. Gallo Winery is the world’s largest family owned winery.